Panorama 2016 what an event! Panorama 2016 – What an event! The short season sure didn’t hinder this year’s excitement and performances of Panorama last Saturday night. There were multiple elements adding to the suspense of this “FULL EXERCISE” called Panorama. 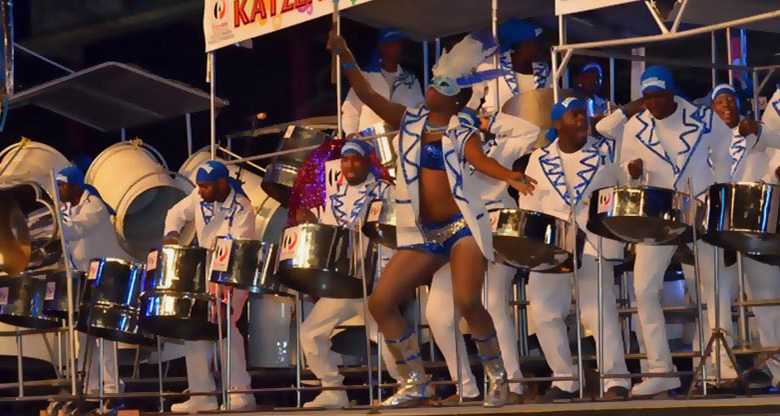 Massy Trinidad All Stars (the reigning champs) attempting to hold off Steel Bands like previous winners Desperadoes, Renegades, Phase II Pan Groove, Silver Stars. Desperadoes winning for the first time in 15 years and 11th time in the 53 year history of the competition. SuperNovas of Lopinot launching themselves up from the ranks of small band to take second place performing “Breakthrough” an arrangement by Amrit Samaroo. Remembering the recent loss of Jit Samaroo. Miami University (Ohio) represented – Students from the Miami University (Ohio) Steel Band under the direction of Chris Tanner performed with PCS Nitrogen Silver Stars. The proudly represented the USA, Ohio and the University. They also looked great in the Silver Star’s white sport coats. I asked one of them if they got to keep the coat, unfortunately they had to leave them in Trinidad. No matter it was a fantastic experience for them. Old Skool performances by Despers and Phase II fired up their longtime fans memories of decades past. Panyard, Inc’s owner Ron Kerns loved hearing the performance reminding him of his deep involvement with Phase II in the 80s and 90s. 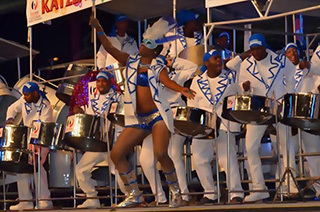 In the Medium Conventional Bands category, Pan Elders Steel Orchestra of San Fernando completed a hat-trick of victories. Points: 284 / Prize: $700,000 / Song: Breakthrough / Arranger: Amrit Samaroo. Lastly, a Panyard congratulations to Tacarigua Presbyterian for winning the National Junior Panorama Primary Schools competition completed Sunday. Also congratulations to St Joseph’s Convent, St Joseph winning Secondary Schools. These youth are the future of Pan!